Richday Meat Masala adds color, taste and flavor to your meat dishes. A fair amount of flavoring spices will make your Non-Veg dish to more delicious and Lip –Smacking. We made mutton mughlai with a lot of 100% lean, boneless Halal mutton. This pickle is for the Hyderabadi Biryani and mughlai food lover. It is like having a mughlai dish with a spicy pickle twist to it. 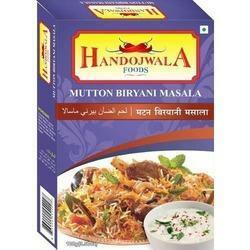 Hot and spicy, rich Mutton Mughlai available in food grade stand up pouches of 225 gms. 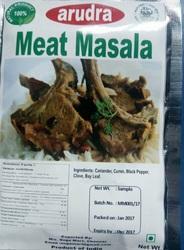 Surya Meat Masala is specially made to enhance the flavour, aroma and impart delicious taste to all meat preparations. Coriander, Chilli, Cumin, Black Pepper, Bay Leaves (Tej Patta), Clove, Stone flower, Fenel seeds, Garlic, Cinnamon, Dry ginger, Piper Cubeba (Kababchini), Nutmeg, Mace (Javitri), Ratan Jog and Salt. 100gm and 50gm mono carton.